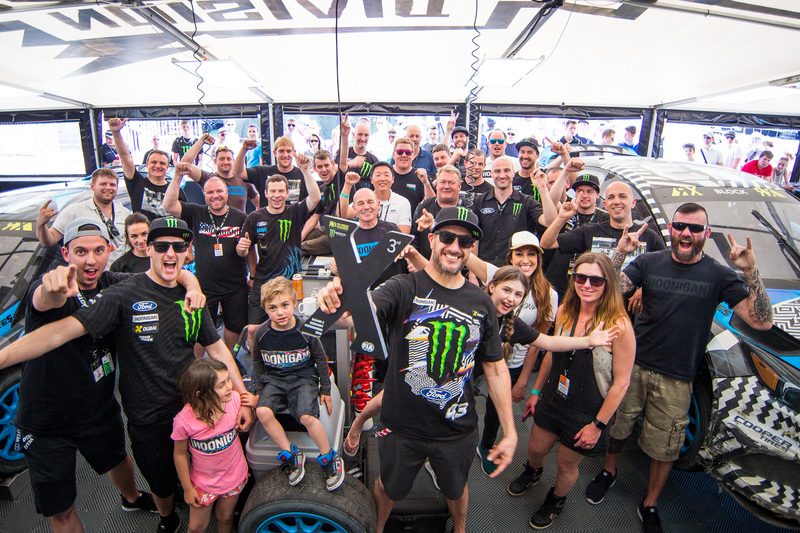 In just the second event for the all-new Ford Focus RS RX rallycross car, Hoonigan Racing Division’s Ken Block overcame tough odds and fought his way from just barely making it into the Semi Finals on at the end of Saturday to onto the podium on Sunday, finishing the event 3rd overall—his first podium of the season, the first podium for the Focus RS RX and the first podium for his new World RX team. Block had a tough weekend, dealing with setup changes during practice and having some mechanical issues and a puncture in his Qualifying sessions. Despite the challenges though, Block snuck into the top 12 at the end of Qualifying 4, earning the final slot in the Semi Finals. 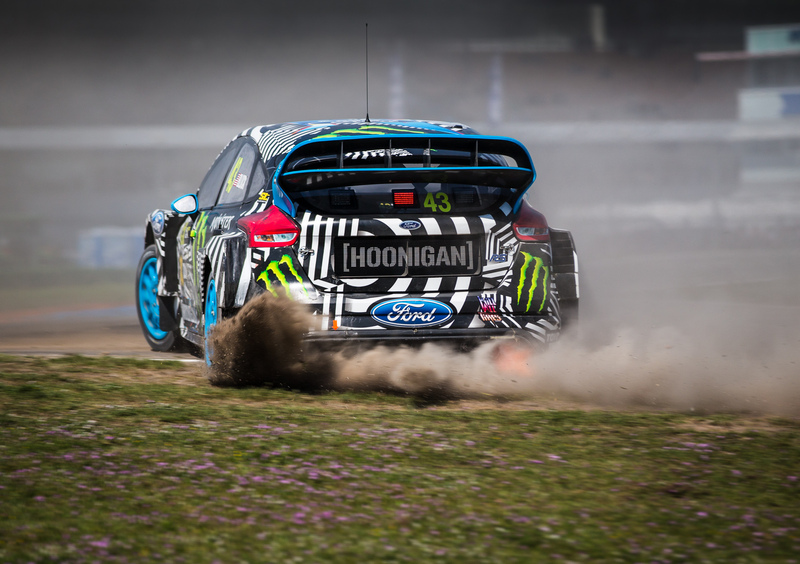 Block’s teammate, Andreas Bakkerud was also dealing with mechanical issues during the Qualifying sessions. He too managed to qualify for the Semi Finals, doing one better than Block at 11th overall. In the Semis, both HRD drivers found themselves starting on the back line of the grid. 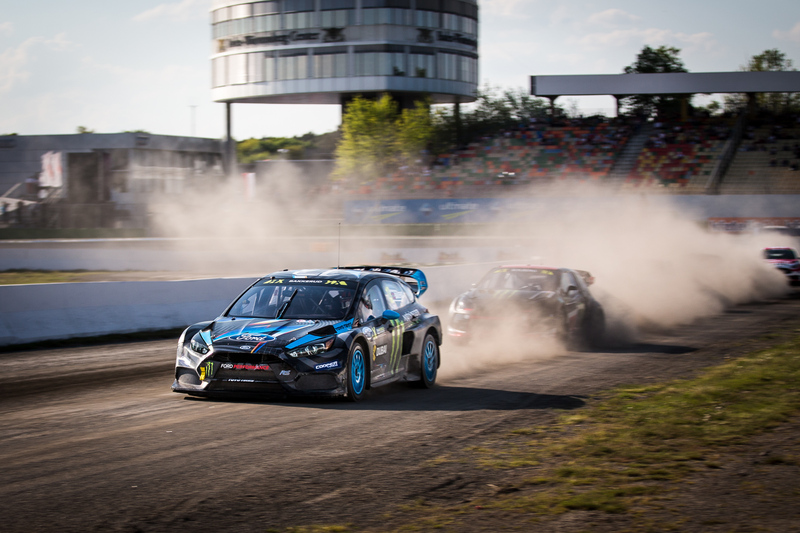 Bakkerud fought his way up to third overall at one point during Semi Final 1, before losing a driveshaft and falling out of contention to move on to the final. 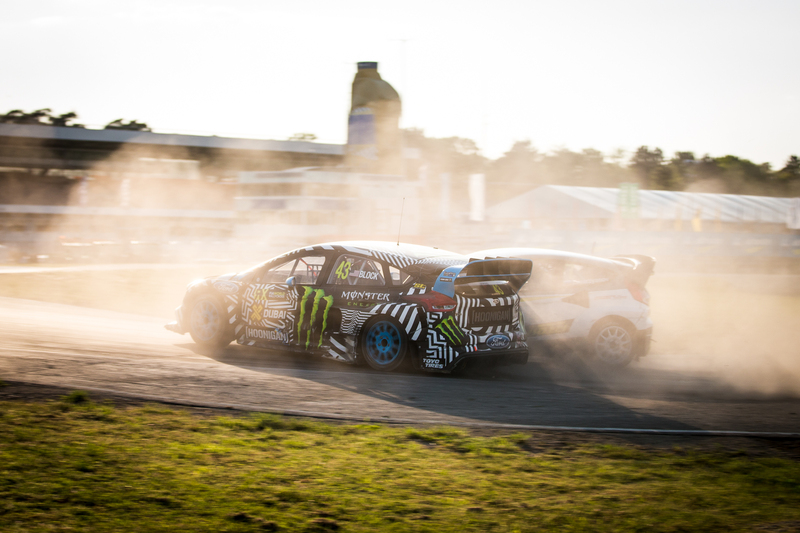 Block battled his way through what may have been one of the greatest Semi Finals in World RX history, working his way from the back of the pack into third and advancing onward to the Final. In the Final, Block was once again starting on the back of the grid. However, he had a great launch and immediately started to battle for position during turn 1, coming from around the outside, fighting for third and then quickly shuffling to fifth. 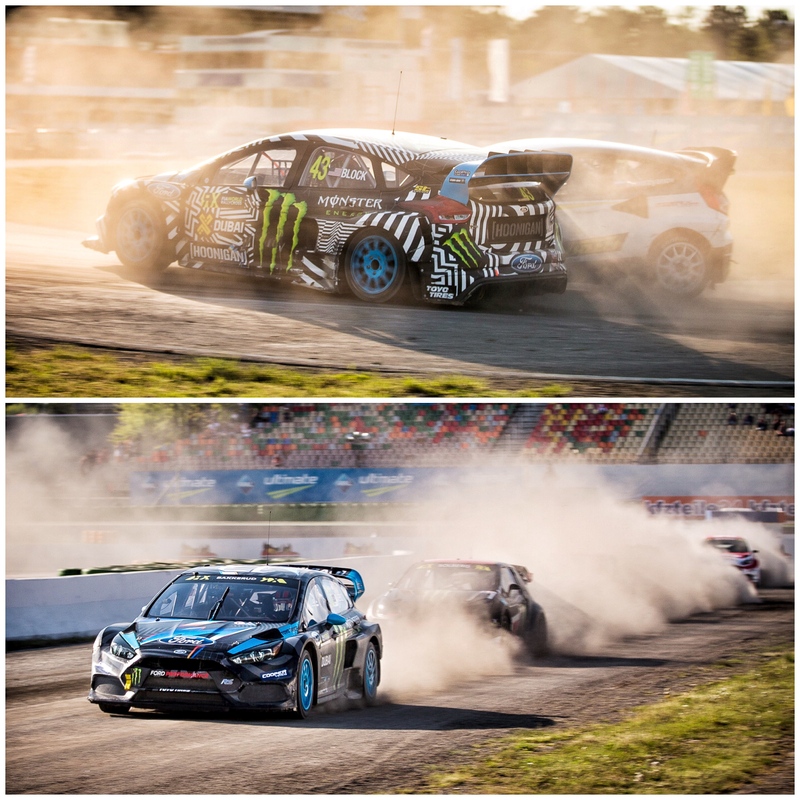 Coming out of turn 2 and going into a gravel S-turn section of the track, Block overtook Petter Solberg on the outside and then came through sandwiched in-between Liam Doran and Robin Larsson in a three-way battle for 3rd. Block prevailed and immediately started to pull away from the final portion of the S-turn in 3rd overall. 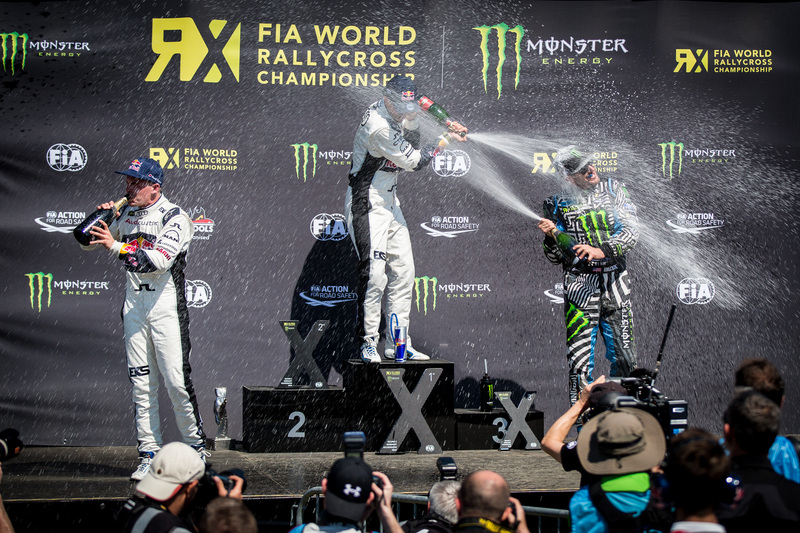 He ended up holding that position all the way to the very end, putting the his Ford Focus RS RX onto its first-ever podium finish in just the second competitive event for the new car. 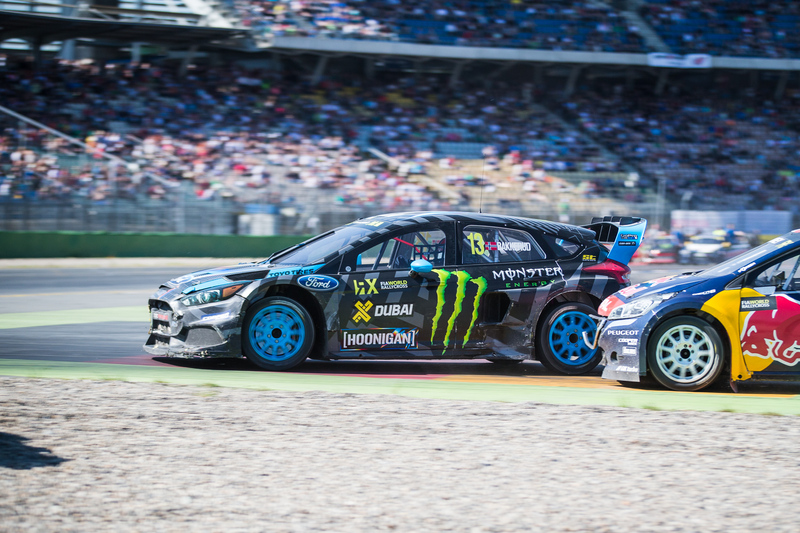 The HRD duo will be competing in Round 3 of the FIA World Rallycross Championship next weekend in Belgium, Saturday May 14th and Sunday May 15th. Be sure to follow along and see how they do as the season continues.